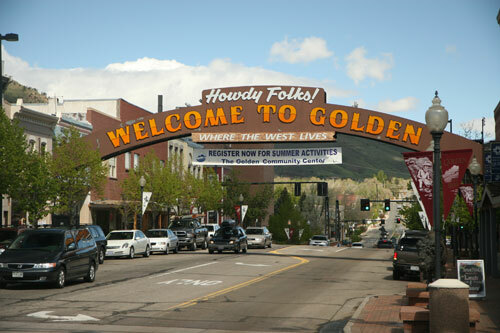 The town of Golden is located west of Denver, just north of I-70. Established during the Gold Rush, Golden has tons of history, including the Coors Brewery, The Capital Grill (which is the building that housed Colorado's first state capital, before it moved to Denver), and Colorado School of Mines. Golden is full of character with no shortage of fun activities, including their annual Arts Festival. Whatever you do in Golden, you must stop off for $1.25 Coors Draft Happy Hour at the Capital Grill. If you're lucky, you can sit on the patio on a Friday evening and watch vintage cars cruise the main streets- a hit with adults and kids! The Golden Arts Festival had a gorgeous backdrop of sunny skies and Rocky Mountains. A cowboy town at heart, the festival provided art of exceptional quality that was both traditional and contemporary. Here are some of my favorites! It was a medium sized show, that only took an hour and a half to tour. There was food and live music and lots of beautiful art! I can't wait to go again next year!